June is just around the corner and with that, the MLB draft is as well. The MLB draft is often the least hyped of all the major sports drafts but with all the young talent coming into the Yankees’ organization these last few years, Yankee fans should have plenty of reasons to be excited to add more to the mix. The MLB draft will take place from June 12-14 in scenic (not really) Secaucus, New Jersey and will be broadcasted on MLB Network and MLB.com. The Yankees will have the 16th selection in the first round this year, the same slot they selected RHP James Kaprielian with in 2015, and the highest first round selection for the team since 2005 when they selected Carl Henry with the 17th pick. Following Kaprielian in 2015 and the selection of highly touted OF Blake Rutherford with the 18th pick in 2016, the Yankees will surely have the opportunity to grab another impact player with their pick this year. We will be digging into several potential options that the Yankees will be looking at here on the blog so definitely keep coming back. Today I’ll be taking a look at RHP Tristan Beck from Stanford University. Tristan Beck is a 20-year-old right handed starting pitcher from Corona, California. He is six-foot-four inches tall and weighs 190 pounds. He is currently a sophomore at Stanford but he has not pitched at all during his sophomore season due to a stress injury in his back. Despite this red flag, Beck is a definite first round talent and he should be there for the taking when it’s the Yankees’ turn. Beck was highly touted coming out of Corona High School in 2015. As a Senior he pitched to a 7-1 record with a 0.65 ERA. He made 10 starts and recorded five complete games and even recorded a save in his only non-starting appearance. Overall for his Varsity career he was 19-4 with a 1.23 ERA and 15 complete games out of 30 total starts. Although he received a lot of interest from major league clubs that year Beck insisted he would not sign. He followed through on that pledge after the Milwaukee Brewers drafted him in the 34th round that year, declining to sign and going on to attend Stanford. 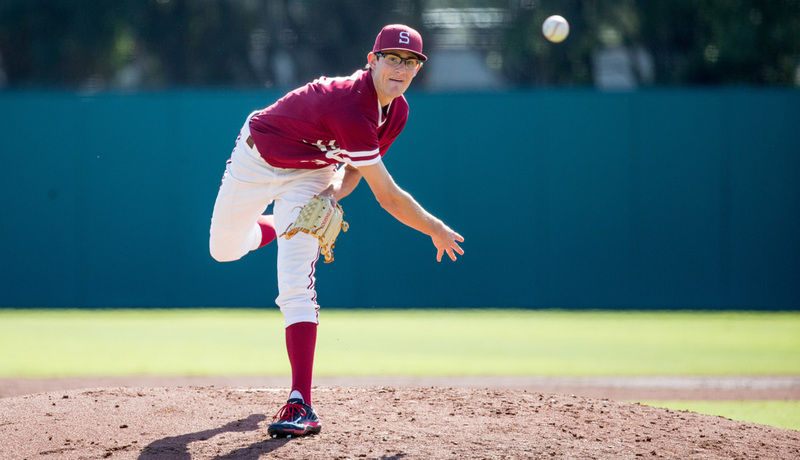 Beck was impressive as a freshman at Stanford in 2016, posting a 6-5 record with a 2.48 ERA, 76 strike outs and 26 walks in 83.1 innings pitched. He also held opponents to a .205 batting average against and allowed just two home runs all season. He was named a Preseason Second-Team All-American by Baseball America in advance of his sophomore season but has not yet pitched this year due to the injury to his back. Beck operates with a three pitch arsenal consisting of a fastball that sits in the low 90s, a plus changeup and curveball as well. 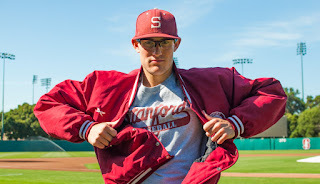 Beck has added weight since getting to Stanford and that may help him add some juice to his fastball, although he’ll never be considered a power pitcher. MLB Pipeline has him ranked as the 52nd prospect heading into this year's draft, but Scout.com had him going to the Yankees at 16 in one of their recent mock drafts. Overall Tristan Beck is an impressive prospect that has had success at every level he has been to thus far. He wields his arsenal of pitches well as evidenced by his impressive high school and college stats. He will turn 21-years-old just a few weeks after the draft and is still filling out and transforming his body. The back injury he is currently dealing with is a definite red flag and with Stanford’s regular season ending in just a few days, it seems highly unlikely that we will see any of Beck in action for Stanford this season. With what’s going on with James Kaprielian right now, I would be concerned about taking another pitcher with injury concerns in the first round, but if Beck is on the board when it’s the Yankees’ turn, they should think long and hard about taking him.